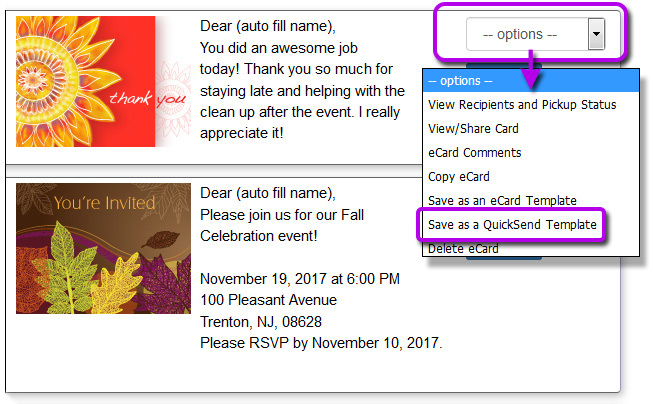 You can easily copy any eCard/Invitation that you have sent, saved or scheduled, make any adjustments you need and instantly send or schedule it. 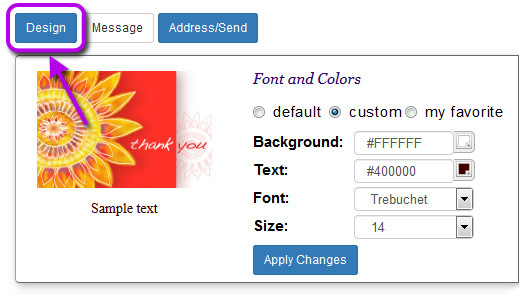 If you wish, you can change the card design, the textual content and all other aspects of the copied eCard without affecting the original. Your original eCard does not change. thumb_up You can change the eCard image by clicking on the "design" button. Choose a new design by clicking on a thumbnail image to see the larger version and then click the button "Select this design." Click the 'Address and Schedule' button to add recipients for this eCard and send the eCard now or schedule it to be sent on a later date.